Fossils discovered in Mus province most likely to be a snail, mussel shell, scientists say. "IMPORTANT TO EXPLAIN THE PALEO-GEOLOGICAL"
The fossils came into daylight after the snow covering the Yedikavak region, some 10 kilometers (6.2 miles) away to the Varto district, started to melt with the increasing temperature. 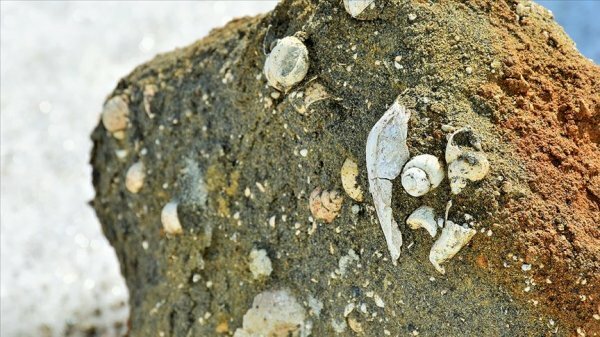 “Fossils belong to living creatures that existed in ecological conditions of Lake Acısu,” said İskender Dölek, a geomorphologist from Muş University. “We are 650 meters above the sea level, which is why we think it is important for the geological history of Anatolia,” he added. 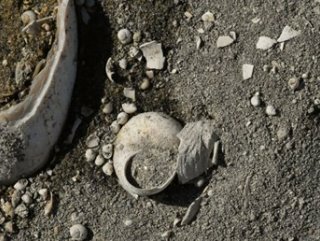 Dölek said that microfossils as well as mussel shells and snails were also found in the region. The discoveries were important to explain the paleo-geological and paleo-geomorphological conditions of the fossils, he added. 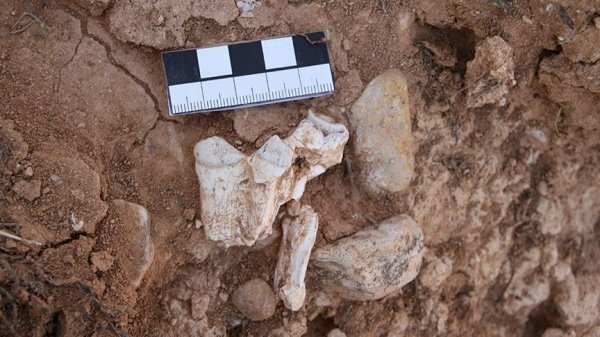 Ertan Öncel, an official from the Environment and Urbanization Ministry, said they will carry out the necessary works to register the fossils. “There are many geological sites and fossils within the borders of Muş,” Öncel added. Öncel also said that the necessary measures will be taken to protect the area.